Never judge a book (or album) by its cover! When this Denver, CO.-based band was first brought to my attention, going by the cover art and knowing that the label is owned and operated by Warrant’s Jerry Dixon & Erik Turner, I assumed Drug Under was going to be the type of hard rock act that drew heavily on ’80s influences. Not so. They are a modern hard rock/metal act that fits right in with the rest of the bands on active rock radio these days. 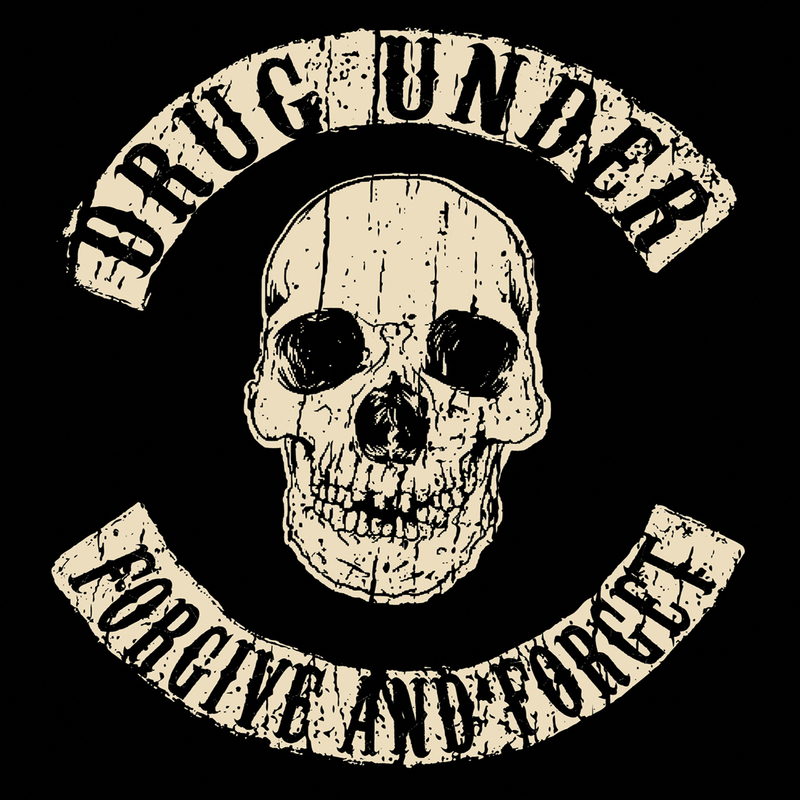 I can’t say this type of rock that features an alternative influence and crunchy guitars is a favorite of mine but Drug Under has their moments where they really shine. “I Need To See” and “Never Again” have the most commercial appeal, I think, and are my favorites. Very cool songs that should be on radio. “Forgive and Forget”, “Borrowed Time” & “Echoes” all have enough of a hard driving edge to keep those that just want to bang their heads satisfied. “All The Lies” and “It’s Over” are of particular interest to me. There’s some nice melodies in the melancholy moments of both of these rockers that show potential for this band to write some great ballads later down the line. Forgive and Forget is an album sure to appeal to fans of the modern rock/metal scene and ’90s rock/metal. While I am not going to say that Drug Under knocked it out of the park on this release, it’s still an enjoyable listen that shows this is a talented band that has a bright future.